Another photo from the Mall Of America. This is the area around the escalator which brings the West and South hallways together. 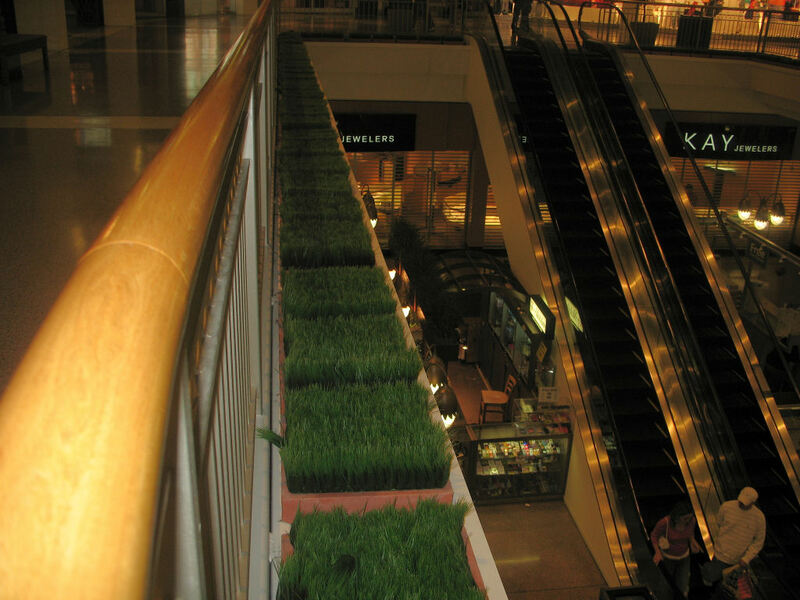 There are these pots filled with grass all the way around the open area on the second floor that make for quite a different visual display. If you look close enough, the grass is fake, but the initial look is quizzical.